Donate TODAY to provide FREE sailing excursions to Cancer patients and their loved ones! "That was just like a day without cancer!" 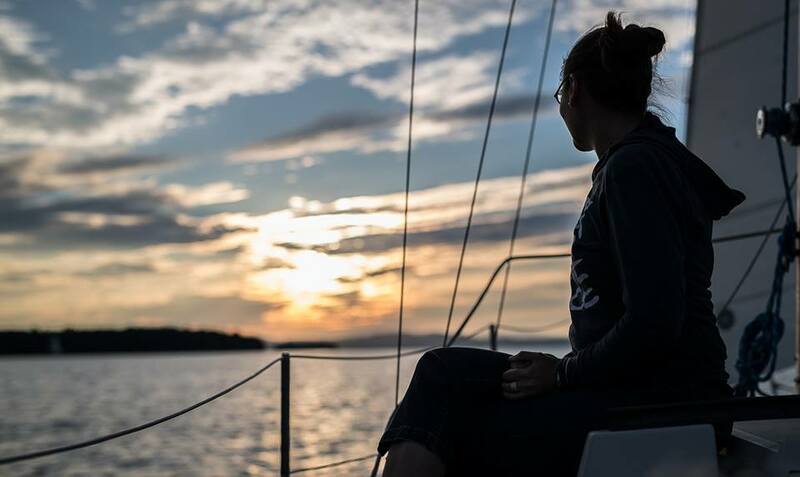 -Debbie G.
HealingWindsVermont is a Burlington based nonprofit organization run primarily by dedicated volunteers, most of whom have been deeply affected by cancer, that share a desire to use sailing as a respite opportunity for those currently fighting cancer. Through our three hour excursions aboard our dedicated vessel "Jubilee," we offer our guests, and their loved ones, a spirit-lifting "break on the lake." We offer each sail at no charge to patients of all ages with all types of cancer, as well as their family, friends and caregivers. This is only made possible through the generosity of our donors. We need your help now, to support our rapid growth. Your gift of any size will allow us to continue to expand our services to meet the steadily increasing demand- right here in our community. Your gift will assure our ability to give patients and their loved ones a meaningful, relaxing and memorable excursion on beautiful Lake Champlain. Donated in honor of Andrew Doe, native Vermonter, who passed away from cancer in July 2017 from Lisa & Simon Haidar and family with much love. Kathie Weibust educated me about this wonderful idea for cancer patients. To My Dear Roomie, Suzanne, you are as much an inspiration to me now, as you were in 9th grade. Wishing you continued good health and success. Sailing = Majestic Experiences Suzanne's Mission with Healing Winds is Wonderful! Being on Lake Champlain in a sailboat is about as close to God as you can get. I know how good being on the lake makes me feel. Keep up the good work Stew and Dave. In honor of all those who are affected by cancer and all of those who love them! May your sails be full. Hwylio! I am donating to a wonderful cause. We have all been touched either directly or indirectly by cancer and HealingWindsVermont helps cancer patients. Always providing an act of help for those who need it. Continue strong. What a beautiful gift of healing! on the water, surrounded by hills, the best of both worlds. Thank you Suzanne.